The growth of ecommerce has made retail business highly competitive. For example, in 2018, ecommerce shares made up 11.9% of the total retail market. What’s more, ecommerce is not showing any signs of slowing down. As a matter of fact, experts say it will hold an 18% share of the retail market by 2021. Therefore, never has there been a better time to start an ecommerce store. And if you already own one, there’s never been a better time to improve it. Today, ecommerce store owners have multiple tools at their disposal. What’s more, these tools are better than ever, and these days you don’t need to break the bank to start an ecommerce store. Today we share some tips that will help you to improve your ecommerce store’s efficiency. In ecommerce, it is extremely important to have a shipping partner that brings a real solution to your business. Therefore, find a business courier that takes the pain out of shipping and makes the process a breeze. Do you have to manually place your own shipping orders? If so, are you able to send out one, five, or even 50 parcels a day easily? Do you have to physically go to the post office to send a product, or will a carrier pick up your parcels from your place of business? Are shipping costs complicated and confusing? Do you have a platform where you can manage all your orders in one place? Can you easily integrate shipping with your ecommerce store? Are you getting frequent flyer points every time you send? Even further are you helping the environment by using carbon neutral delivery? Think about what your current shipping service offers you. Are they helping you grow? Your shipping company needs to make your life easier, not give you another headache. There are currently lots of services that offer competitive pricing. The question is, what else do they offer? Competitors can sell the same products you do. However, they will never be able to copy your customer service. It’s true that sometimes things can go wrong. However, instead of thinking of slip-ups as disadvantages, consider them opportunities to build relationships with your customers. Having great customer service makes the difference between losing a customer or creating a loyal one. But when you lack face-to-face communication, how can you possibly improve customer service? There are a few ways to set yourself apart from the rest. It all relies on prompt communication and quick solutions. You’ll find that a 24/7 chatbot or a phone service such as Bold360 make the difference between cart abandonment and a loyal customer. Therefore, offer support for before, during, and after the sale. How you handle each interaction will either improve customer satisfaction with your product and brand—or not. You might think that your ecommerce store is already operating at its best. However, there is always room for improvement. For example, you might find that you can improve the placement of your cart, the color of your background, or how well visitors can navigate your site. By testing different variables you’ll be able to see which features work best to create responsive consumers. Start by testing one variable at a time. Using simple A/B testing, choose a single metric such as conversions or click-through rates. Your tests should help you to determine the best variable for your site. Later, you can use multivariate testing. This will help you to determine what site layout or color scheme provides the most conversions for your business. There are some platforms you can use for these tests. These include Google Optimize and Adobe. In simple terms, search engine optimization, or SEO, helps businesses increase their website visibility and traffic on search engines such as Google or Bing. Basically, you want to put your best foot forward and choose the most relevant search phrases as keywords for your business. Then the search engines will begin to rank your website higher in their results pages. When this happens, your customers will be able to find your website more easily. 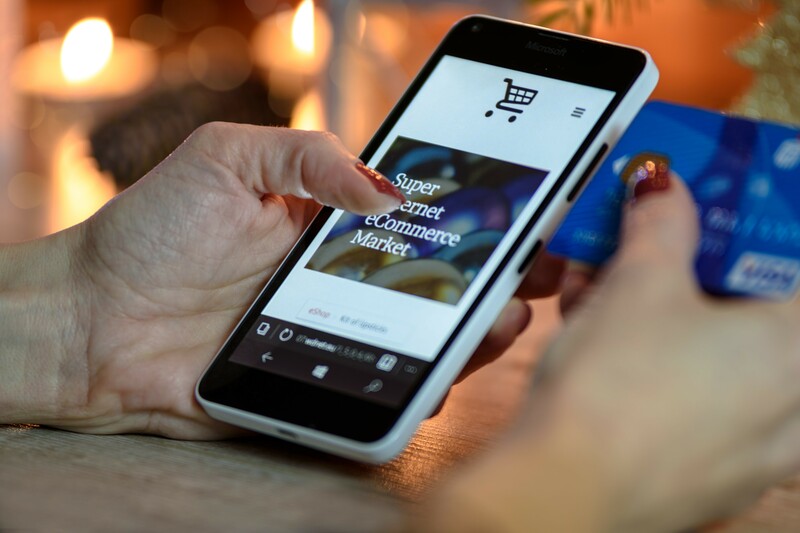 To improve the SEO of your ecommerce store, learn all you can about the tactics you can use to improve the usability, experience, and content of your website. Blogging has multiple benefits for your ecommerce store. For one thing, blogging allows you to share valuable information with your customers. For another, you can educate them about your product or service. Create content that users find valuable. When you do, they will begin to share your content with friends and family by way of social media. This process will help you to build brand authority as a go-to source. And it will also reach potential new customers. What’s more, it will give your website more backlinks and therefore boost your rankings in the search engines. Use these tips to improve the efficiency of your ecommerce store. Then watch as your sales begin to soar.